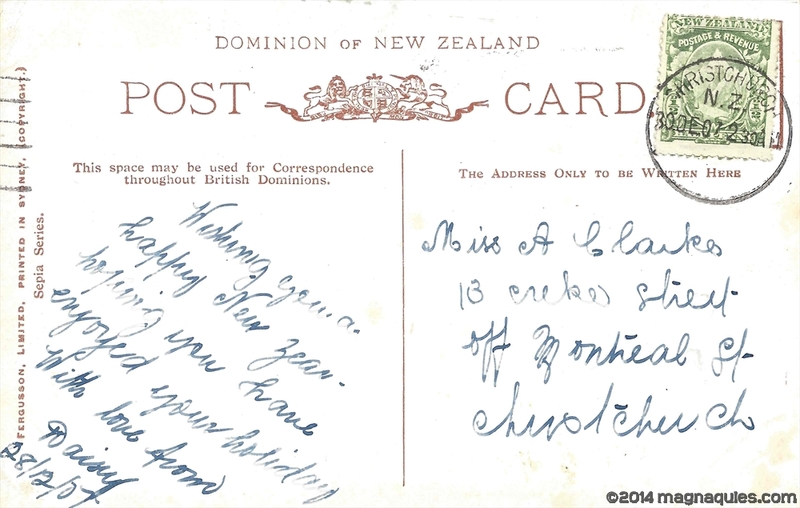 A new purchase - a lovely postcard posted on 30 December 1907 at 2.30pm. 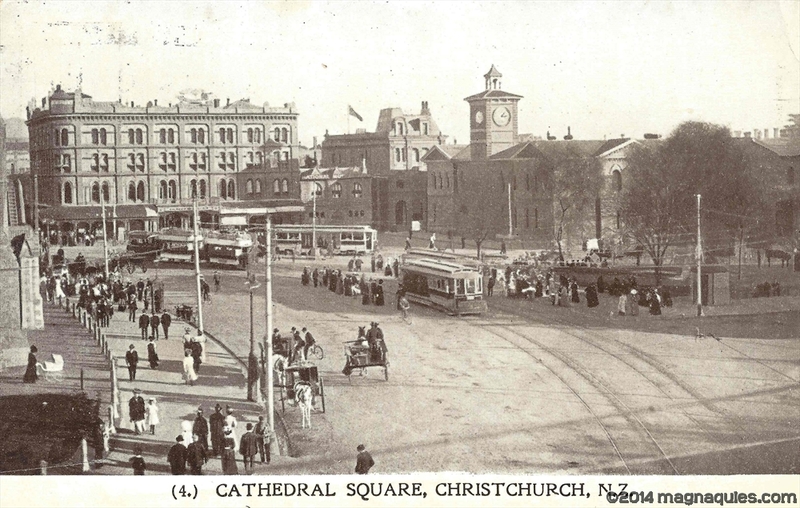 This shows Christchurch's Cathedral Square fairly soon after the turn of the 20th century. The Anglican Cathedral is on the left edge, the Chief post office with a view of two of the clock faces visible, near to the centre. The United Service Hotel standing proud in the top left. "Often mistakenly referred to as the United Services hotel on the assumption that the name implied military association, the actual origin of the name refers to the amalgamation of the licenses of the Golden Age and Hereford hotels, which had occupied parts of the site until 1883." Another postcard showing the Chief post office is on my blogsite here. 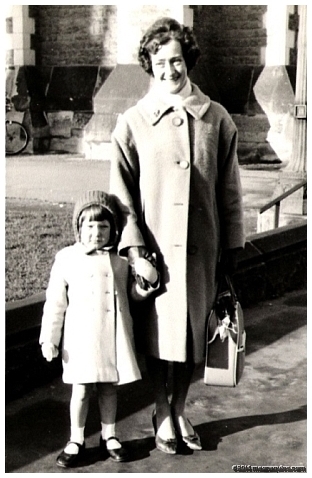 In 1965 as a little girl with my mum, a photograph was taken of us both [below] near the same spot the lady and the pram were walking by - a nice layering of history. So many generations have lived and worked around that Cathedral...it will never be right to see it gone - the earthquakes have wreaked much damage to my beautiful hometown including the Cathedral. 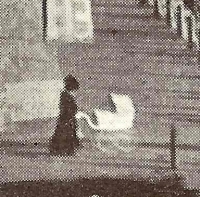 A search of Paperspast shows that 'Creke' street was also noted as Creek Street.